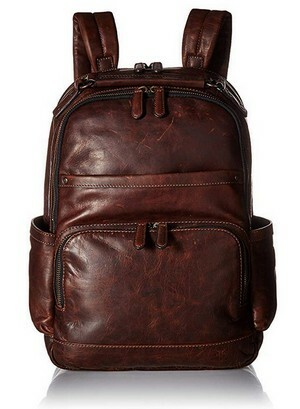 Leather backpacks are a type of luggage that will never out of style. They have been worn in some fashion for centuries (although they weren’t called that in the past). What’s the reason for this? It boils down to simple common sense. Leather material is built to withstand the brunt of bad weather, is extremely flexible when carrying heavy items, and can be revived when it begins to show signs of age. The outer layer also protects sensitive belongings from getting dirty or broken from exposure. Minor damages can also be fixed very quickly with solutions. 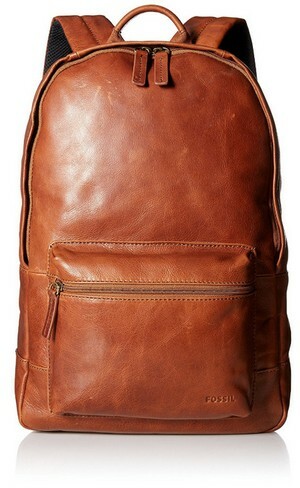 If you’re on the hunt for the best backpacks for men, check out the five leather backpacks further down. Each has exciting qualities that are suggested for travelers, professionals, and students alike. And once you’ve got that out of the way, head over to the Buyer’s Guide to get the scoop on the latest shopping advice before you buy. 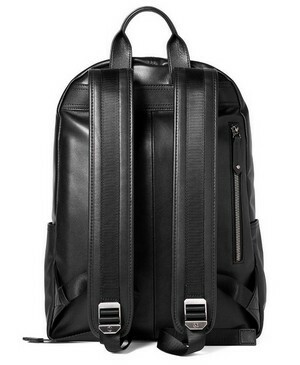 What are High-Quality Leather Backpacks for Men in April 2019? The Frye Logan Backpack is the right bag for an electronics lover. Laptops of up to 15 inches in length will fit in the conveniently placed sleeve that’s attached to the large opening. The straps are also very strong and will not come out of place whenever you make adjustments. It’s a small feature, but one that definitely puts it on top of a normal backpack’s sliding adjustment bar. You can jump up and down and the buckle will stay in the same position. As for the zippers, they’re also built well. Discoloration shouldn’t happen with them either, and a small lock can be placed around the loops if you like to lock up your valuables. If you look at photos of the bag, you’ll notice that the brand’s logo is on the back. Don’t expect this to be featured on your bag if you do order it, however. The company frequently changes the logo to not appear or be printed in the back, so consider getting in touch with them before you buy if you want one with the rear emblem. And be careful where you place it. Never drag the bag on rough floors and other hard surfaces; the leather material can easily scratch if you’re not paying attention. Stiffness may also be felt along the center back portion but become lessened as the leather adjusts to your form. With these minor nicks, the Frye Logan still manages to be one of the best backpacks you’ll find anywhere around, and it’s attractive to the point where you may not want to wear it every day, just to keep it looking new. 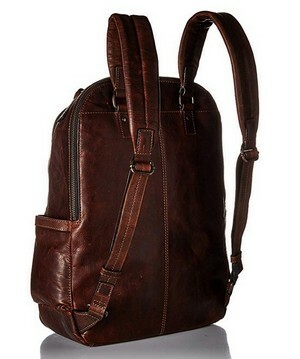 The Fossil Leather Estate Backpack is a basic layout with an almost matte brown appearance. There’s a large rear pocket located along a black mesh front that touches the back and mesh lining on the shoulder straps. The inside pocket is by the lid, while the rest of the space is dedicated to larger items. No sleeve is available with this backpack. Still, don’t let that deter you from the quality that’s given here. It’s an advantage because you can take double the amount of items compared to competing brands. The mesh lining really puts this one in a league that’s identical to the previously shown bag. Leather has a reputation for being hot to wear and also hot for your belongings. The fabric is placed in just the right locations and will keep your back cool and sweat-free. And the leather contains no stiffness, even when you put it on for the first time. Enough space it allotted to fit a small amount of clothing inside too, which ideally makes it a great item to bring in extended travel arrangements at an airport, or even a brief camping trip. The only downside is the zippers. The handles are made from leather as well. This may not be a problem for you but might irritate people more accustomed to fabric straps. If you’re a student or carry around lots of different backpacks or luggage sets, you know that zippers are often the pieces that break first on a bag. And while it is hypothetical to assume it will happen to your bag (which it may not), the chance is there, especially if you’re rough with zipper handles. But overall, the Fossil Estate is great for any shopper and could be very useful to backpackers and travelers who want something that stands out. The Filson Unisex Weatherproof Journeyman is drenched with class. It almost resembles an antique or something that has been restored to its original splendor. The dark brown leather with the hardened buttons and buckles is visually impressive and sets the mood for anyone that wants something to make them appear professional or smart casual. The outer material is waterproof all the way, and liquids won’t stick it when they do make contact. It’s also very easy to clean because of this. Again, the shoulder straps have belt buckles instead of plastic pieces for adjustments, which helps immensely with stability if you’re a fast walker or plan on moving at a fast pace with the backpack on your shoulders. You won’t be able to get a large number of items in the bag though. While a laptop and other small or medium-sized objects will fit without issue, such as two textbooks, getting in more would be overkill. And since the straps are made of buckles, carrying too much in the bag might warp the shape of the perforations in the straps that secure them. The last thing you want to happen is to end up with a torn shoulder strap, so don’t use the back if you need to carry around big volumes of textbooks. For everything else, the backpack will make a wonderful gift to yourself or a friend. 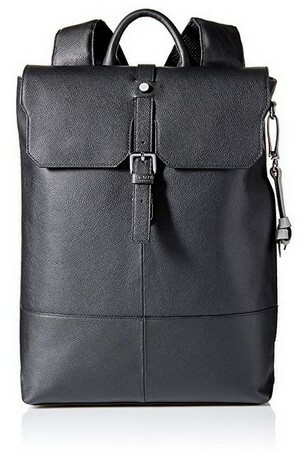 The Ted Baker Beach is an all-black backpack that looks a bit different from those reviewed already. It doesn’t have a bulky sleeve in the back. You can fit in a few books and have a little more room for electronics, but it’s simply not designed for the thick items. Regardless, the leather is where it shines the most. It’s scratch resistant and has tiny little ridges in the exterior that feel like goosebumps. This also helps it stay free from stains; the bag will clean itself on its own when dirt touches it (grime flakes away). But the best advantage is the length. You can fit your 17-inch notebook in this one with no problems. If you own a big laptop and have had difficulty finding one that maintains such dimensions, you’re looking at the right product. As noted in the last section, you won’t get wide items in this backpack easily. What it makes up for in laptop size, it lacks in depth. Of course, you can stuff a few heavy items inside but it’s not recommended since the straps are attached and suspended with buckles. As long as you don’t expect to walk around with too much gear, the Ted Baker Beach should last you for many years. The last product is the Sharkborough Supreme Anton Backpack, a great looking piece of luggage that’s all black and smooth as butter. The leather smell really nice, and looks just as good. There’s a small pocket featured on the left side of the bag, near the front. This is a great way to stuff your temporary items in a secure location that can be accessed quickly. And because of this, the bag is a great product to have around with you in settings such as a passport control in an airport terminal or outdoor event. Take note of the specifications given, particularly if you possess a laptop. You’ll have trouble getting one inside that’s over 13 inches. If you try to force it in, the bag could eventually break around the portions where it becomes stretched. Consider the other backpacks if your notebook goes over this limit. If not, you shouldn’t have any issues with getting everything to go in neatly. Tablets with small keyboards are also well suited for the Sharkborough. You can reach for things quickly and zip it back up within seconds. And the other pocket behind the main opening is big enough to house a tablet. Nylon material is shown at the bottom of the shoulder straps and will keep the rest of the leather on it from stretching are chipping away in the center. Overall, this bag is great for anyone that doesn’t mind cleaning up its soft texture from time to time. It’s recommended for anyone that needs something visually appealing, and if kept in a good location, the bag should last for a year without chipping or becoming aged too quickly. 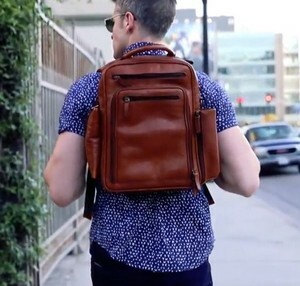 Leather backpacks are a lot different from your standard bags. They require careful observation before purchase and an understanding of how to properly care for them once acquired. For these reasons, it’s recommended that you read the information below so that you’ll get a proper bag and the know how to prolong its life. 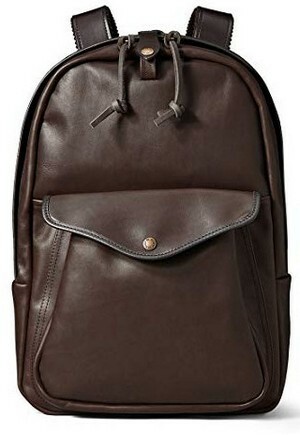 Whether it’s a smartphone, tablet, laptop, or book, leather backpacks can accommodate most personal electronic items. The bags shown above will generally have a sleeve or pocket that can fit such belongings inside quickly. If concerned mainly about your laptop conforming to the sleeve size, the standard is about 15 inches long. There are some with 17 inches or higher though, so reference the product’s manual on the description if it’s available. Every backpack is small enough to fit in the overhead compartments of most air carries as well, so feel free to take it with you for long distance travel if needed. But don’t expect to get really bulky items inside, such as multiple textbooks or a load of clothing. These products are made for consumers that must carry a day’s worth of gear. You won’t want to lug around too much in your bag anyway; filling it over capacity will increase the risk of damaging the leather and shoulder straps. Many leather backpacks are built to withstand rainy conditions. The water will run off the bag and not seep into the inside when the feature is available on a backpack. Some bags have better water protection though, and others will slowly wear off when the leather begins to age and dry. It’s advised for you to get a bag that advertises waterproofing as its primary attribute if you’re traveling or based in an area that gets above average rainfall. The leather should stay in good shape and keep everything on the inside dry. While you may not want to leave it in the pouring rain for too long, nothing dire should happen in the off chance that you catch yourself outside in an inclement time of the day. 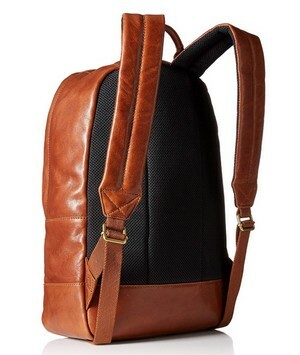 In a lot of ways, the shoulder straps on a leather backpack are the nerve center for the entire bag. Straps that are well built will distribute the bag’s weight evenly throughout your back, reducing the annoyance of shoulder pain and discomfort along the spine. But the lower back should also not be forgotten. If you have problems with pain when carrying around backpacks, look into the leather backpacks that contain either polyester or mesh lining in the back on the straps. The fabric won’t dig into your skin and is much easier to adjust. But this isn’t an expected issue, so feel free to settle on those with a more trendy look, if you must. Belt buckles function well and help the backpack stay put without moving around too much as you walk. Leather must be cared for in order to keep it looking good. Thankfully, it’s pretty easy to find leather cleaning products. Since you’re getting a new bag, you won’t have to look for this anytime soon, but there are standard cleaners and lotions sold that soften and re-moisturize the material. 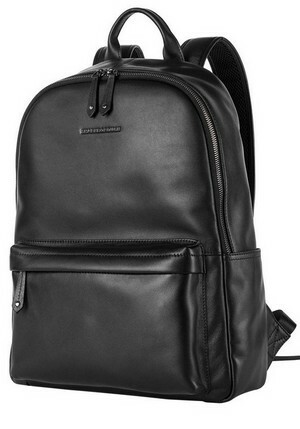 However, black leather backpacks may need to be cleaned more frequently than others, since fading will happen if you brush the material against other surfaces too much. If you’re going with a black color, you’ll probably want to look around for a cleaner at an earlier time than you would with brown. But prevention is always better, right? Don’t get it scratched up or handle the backpack too roughly, and it shouldn’t wear down quickly. When you’re not using the bag, store it in a cool place at room temperature. For long term storage, you can preserve it by placing the bag in a plastic pouch or container of some sort. Just about anywhere you can think of! Leather backpacks are popular among college students and professionals that need to look the part on the job or job interview. They are a great way to protect sensitive electronics since the dense material won’t allow liquids to drip into the sleeves, unlike those made from fabric. Take it with you to the airport, railway station, or during a hike in the woods. And since many of the pocket openings are quite large, reaching for your belongings is easy to do and won’t take up too much of your time. Several of the bags shown earlier contain brass or metal zippers, which are shaped to accommodate a separately purchased lock. And with the proper amount of care, the product will last many years without mandating a second piece to take its place. Having gone over some of the advantages already, there’s still one major reason for getting a leather bag that hasn’t been mentioned yet. Flexibility will help you store your bag in areas that other backpacks simply wouldn’t be able to fit in. You can flatten them and nothing will break or tear. And because they lack flimsy materials along the shoulders, you’re unlikely to tear up the strap bottoms, something that’s a common issue with ordinary backpacks. The biggest drawback that isn’t exclusive or descriptive to any leather product is temperature control and the lack of variety in colors. Most bag colors range from different hues of black or brown. Material quality is more detrimental to most consumers that shop for leather backpacks though. 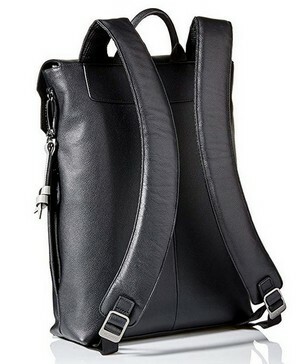 All leather backpacks featured in the list have been chosen for appearance, strength, and how well organized and laid out the interior pockets are. They’re all great looking and have a name for themselves, giving users exactly what they look for in comparison to their lower quality fabric competitors. 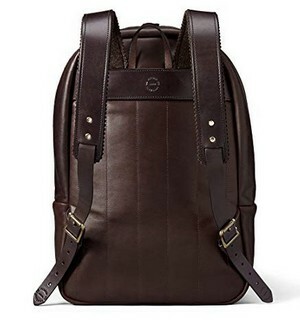 However, the FRYE Logan and Fossil Leather Estate Backpacks are the best all around and will certainly make you a happy customer once it arrives at your door. They can fit many items without hurting the leather material, and feature great stitching that won’t come apart or dry quickly (even in the rain). But maybe you don’t want to settle with those. If so, look into the others evaluated and get the bag that you think outshines the others. When all is complete, you’ll end up with a bag that’ll have you ready to take on any adventure.